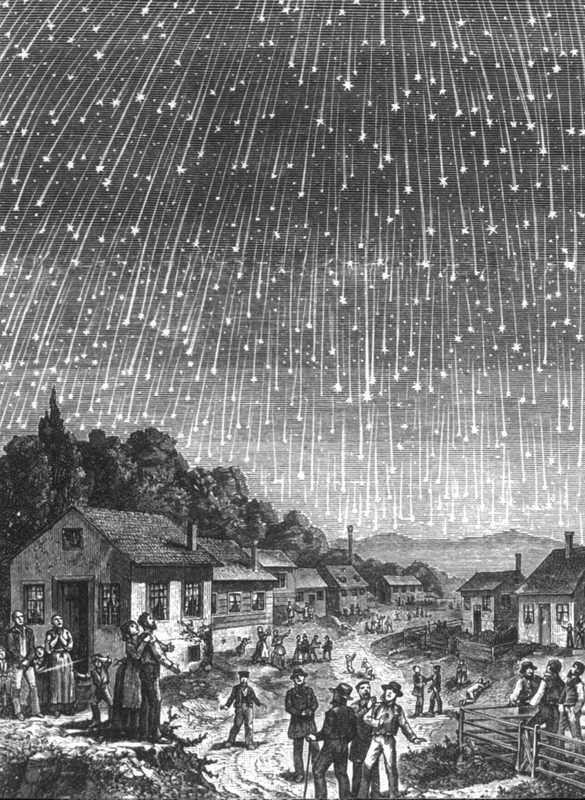 The stars appear to fall from the sky during the Leonid meteor shower of 1833, as depicted in this contemporary illustration. Tens of thousands of meteors shot across the sky in just a few hours. The Leonids have staged several other big storms, most recently in 1966. This year's shower, however, should be tame, with a few dozen meteors per hour.